Aaron Hector - Conseillers T.E. Aaron Hector, B.Comm., CFP, R.F.P. Aaron has a rare mix of youth and experience, having started his career in comprehensive wealth management earlier than most in the industry. He has experienced a side-by-side mentorship with Russ Doherty and Vic Bryant for the last 10+ years, drawing on the invaluable expertise that came from their differing approaches. Aaron’s clients take comfort in knowing that they have found an advisor who will be around to serve them throughout their career and retirement. 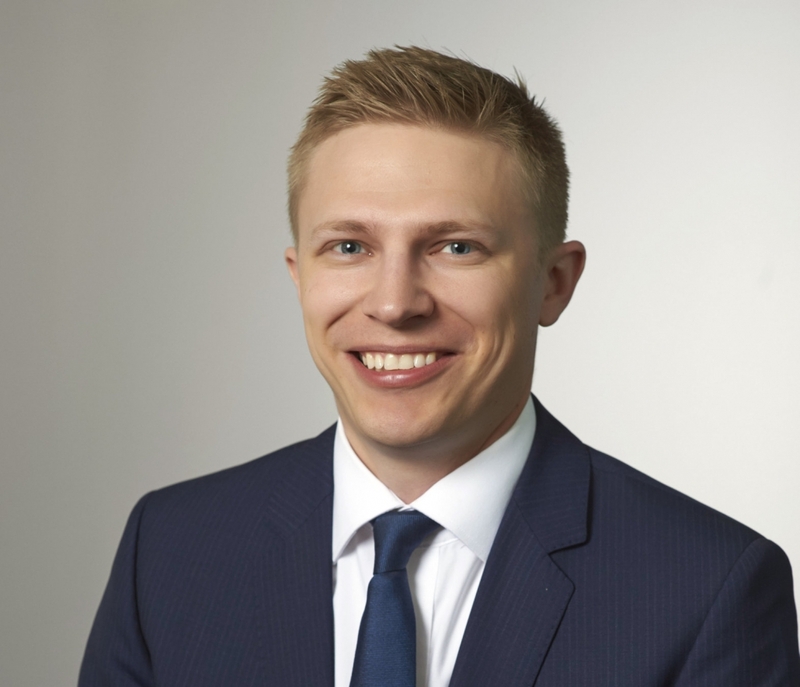 Aaron holds a Bachelor of Commerce Degree (Finance) from the Haskayne School of Business, University of Calgary, a Certified Financial Planning (CFP) designation with the Financial Planning Standards Council and a Registered Financial Planner (R.F.P.) designation with the Institute of Advanced Financial Planners (IAFP). He is currently working towards his Trust and Estate Practitioner (TEP) designation. As a dual citizen, Aaron is continually expanding his knowledge in cross-border financial planning (Canada-USA). He is well versed in planning for Canadian snowbirds that are spending time in the U.S. and also planning for U.S. citizens who are living in Canada. A member of the Strategies Review Team for T.E. Wealth, he holds memberships in the Financial Planning Standards Council (FPSC), the Institute of Advanced Financial Planners (IAFP), and the Society of Trust and Estate Practitioners (STEP Canada). Aaron and his wife Miranda are the proud parents of twin girls. When not running after his daughters, he plays for – and manages – a Calgary men’s soccer team.